Nurse call systems have become quite a necessity for the healthcare industry. The prompt response times offered by having nurse call systems installed in a medical facility has been the reason for so many lifesaving cases. People are always weary of going to hospitals. The loneliness and mortality rate do not help. But knowing that help is always at the press of a button makes things a little easier. Technology is playing a marvellous role in improving patient experiences in dreaded hospital situations. What are nurse call systems? Nurse call systems are devices used by patients to request help from healthcare staff. Nursing staff receive these messages by notifications on either a nurse call device worn on the wrists or on a monitor setup at the nursing station. Once they have been alerted, they can set off immediately to attend to the matter. Nurse call systems improve communication between patients and healthcare staff to ensure efficient service by staff and a well-supported recovery for patients. How do nurse call systems work? Nurse call systems work on the principle of transmitters and receivers. The devices used in nurse call systems send information from the transmitter to the receiver. Transmitter devices will be used by patients in a medical setting to request for help from healthcare staff. Receiver devices are placed at nursing stations or on staff’s wrists to notify them of the request for help. The notification will have information on where they are required to go to such as room and bed number. Nurse call systems are also widely used in retirement villages. Nurses can’t follow the aged around all day and these devices allow for freedom of wandering around and doing things without someone hovering over you all the time, but at the same time also being a reinforcement that someone will always come when you require assistance. 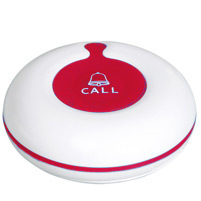 The nurse call button can be found in various offerings. The cordless remote can be placed near a bedside for a patient to be able to easily use. Another option also allows retirement home patients to be able to carry it around using a lanyard as it can be worn around the neck and wont be misplaced as much. Nurse call systems can be mounted onto bedside tables or bathrooms as well. The cancel nurse call button allows for nursing staff to press once the call has been attended to. Management systems can monitor the response times of the nursing staff using the nurse call buttons and cancel buttons. 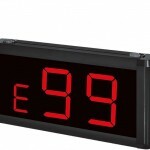 The wrist watch receiver is beneficial as staff can be accessed anywhere on the healthcare premises. 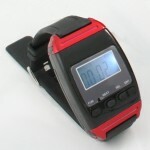 They can report directly to the patient in need as per the information on the watch receiver. Doctors can also wear one of these and be accessed immediately when an emergency occurs. Cell phones are not to be fully trusted as signals are not altogether reliable. The display monitor receiver can be placed at the main hub of nurse activity. The monitor shows all information regarding which patient is requesting help. This receiver has software that will record the response times of healthcare staff in addition to being a receiver. 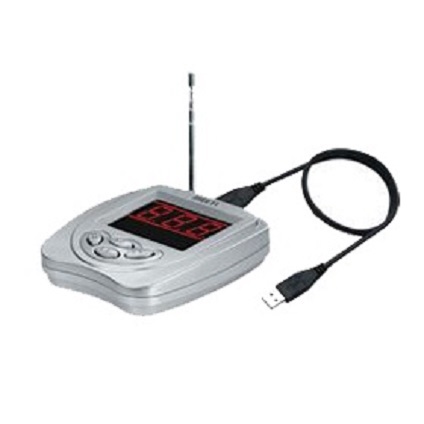 The USB receiver connects to your PC to manage the calling information and keep track of the nursing staff performance, improving reaction time and efficiency. The nurse calling system offers a discreet method of requesting help. The patient will not have to disturb other patients in the rooms when requesting help. Sometimes, pride is often a big factor for people not to ask for help directly from others. However, discreetly requesting help using a call remote often makes them seem a little less troublesome. Because the room and bed number information comes up on their nurse call devices, nurses are able to proceed directly to the patient needing help,instead of wasting valuable time by running and looking around for the patient needing assistance. In the case of an emergency, those few seconds count for precious life saving time. Nurse call systems are conveniently located near patients in recovery rooms so they have easy access to them. Lanyards are also a good option here as they won’t get lost in the bedding and will always be around the patient’s neck where he or she can easily locate it. The waterproof feature of the nurse call button allows patients to use them in the bathrooms and showers, where the risk of falling is higher. Also the less movement will indeed lessen any injuries that might occur from any effort to find a misplaced remote. Healthcare staff can use nurse call systems to call on other staff members for help whilst they are in the room, for a second opinion or help with another patient. They would not have to go back to the nurse’s station and then take them back to the room. Nurses only have to go to rooms when doing rounds and when help is requested. The added time gives them an opportunity to catch up on paperwork and function better because of less running around. Management can monitor response times and take appropriate action to under-performing staff members who are not attending to requests timelessly. Wireless nurse call systems are easier to install and not a big issue if renovations are being done. There is also none of the untidiness and unsafe attributes that you would get with corded devices.